When you think of all things Trump, one of the first things that springs to mind is his trademark hairstyle. Maybe it’s natural, maybe it’s Trump Hairspray! Do you want hair that stands out in a crowd? 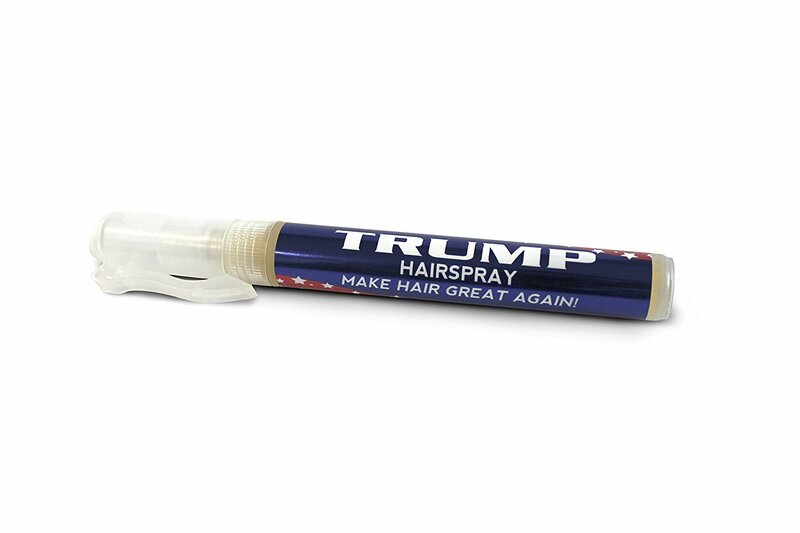 Make a statement with perfectly coiffed locks, held in place with the titan of hair products, Trump Hairspray! People will take one look and know that you’re a huge … SUCCESS! 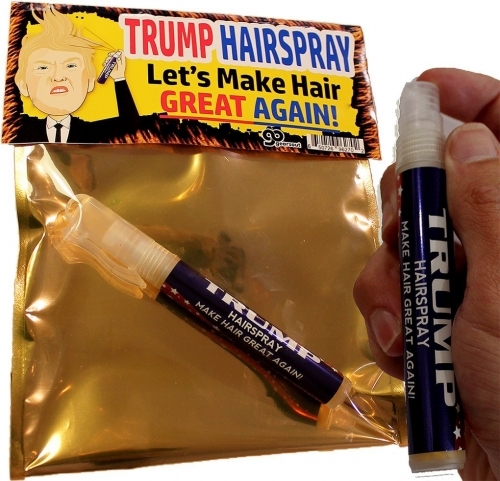 Label reads: TRUMP HAIRSPRAY - MAKE HAIR GREAT AGAIN! Whether you’re a fan of The Donald or counting down the seconds to the end of his term, you can enjoy giving this hilarious political gag gift. 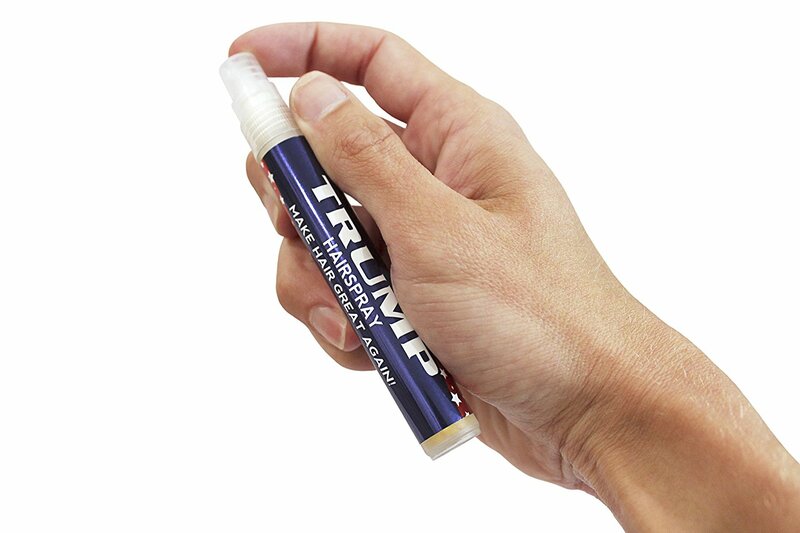 The stylish packaging and convenient travel size make it good for big egos AND small hands! 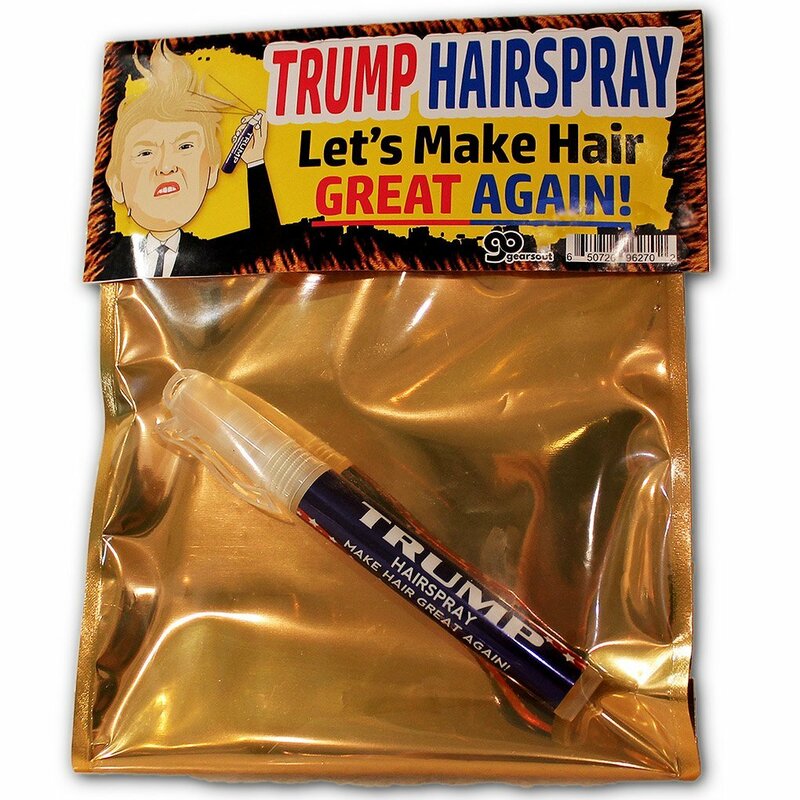 Your friends and family will be rolling with laughter when they unwrap the Donald Trump gift of the year!